A diagram of the Liminal Camera reveals its inner workings. 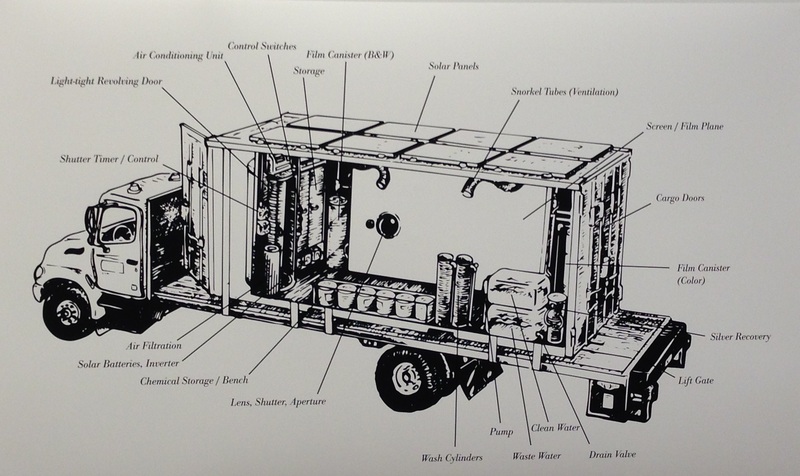 As with old-fashioned camera obscuras, the precursor to the modern camera, the large-scale prints were created when light passed through a hole in the side of the pitch-black container, projecting the external scene upside down on the truck’s inner wall. Visitors were invited inside the camera to witness this process during the Chicago Humanities Festival last fall. Climbing up steep steps, visitors entered the camera through a light-tight revolving door reminiscent of a pneumatic tube. Once inside, the artists explained how the camera worked and demonstrated the process, noting that the camera also doubles as a darkroom. 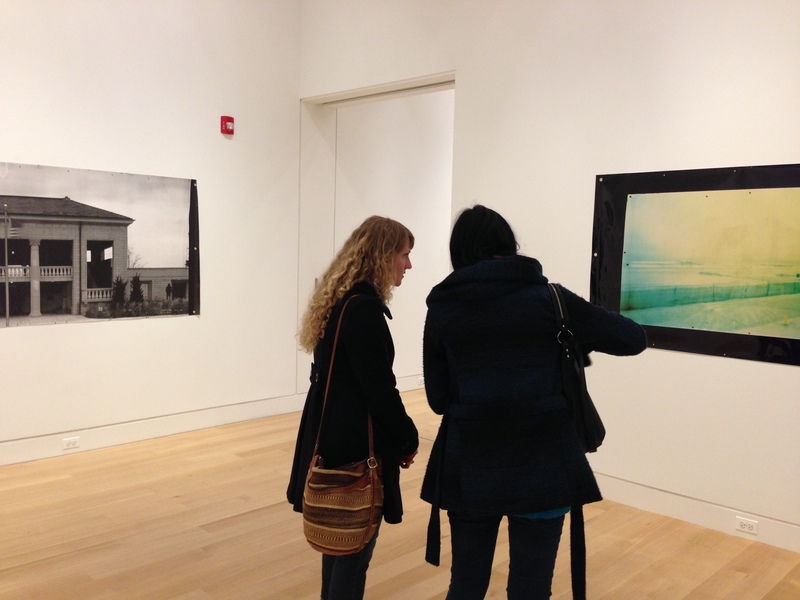 Visitors discuss a photograph during the opening reception in May. 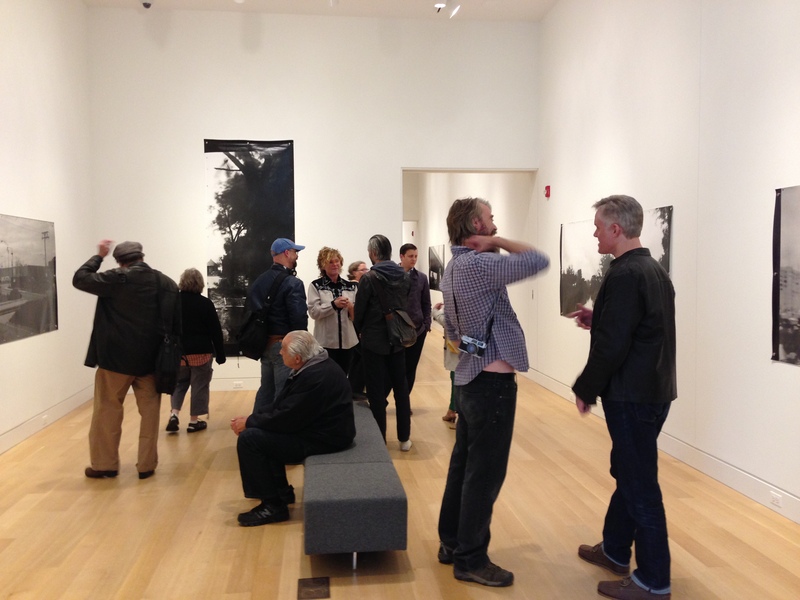 Guests mingle during the “Liminal Infrastructure” opening reception. Visit DPAM before Aug. 9 to experience these sweeping photographs in person. “Liminal Infrastructure” is presented in collaboration with the Chicago Humanities Festival.